The world of shopping is at a crossroads. While online sales are growing at runaway speed, many businesses are finding themselves left behind, discovering that what has worked so long in offline does not work online, and what works online does not necessarily translate offline: it simply doesn’t “click”. 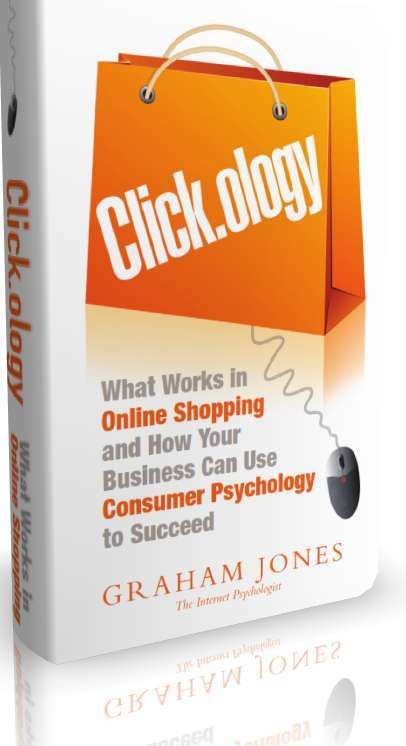 He also reveals the “why” of consumer behavior online, how it differs from offline behavior, and how you can use this understanding to create a store that connects with and engages your customers on both a practical and a psychological level – a store that demonstrates true click.ology. Using an accessible five-step CLICK system for turning clicks into dollars, the book shows how to learn from the experience of both on- and offline, and apply lessons to both. Whether you’re running a small business website or that of a big corporation, whether you’re operating purely online or offline too, Click.ology shows how you can thrive in a dynamic retail world.